Every blue moon something comes along that transforms your life in unimaginable ways. You have to suspend your disbelief in order to actually see the truth. Bowenwork has been that transforming body of work that continues to have this effect on Mary. 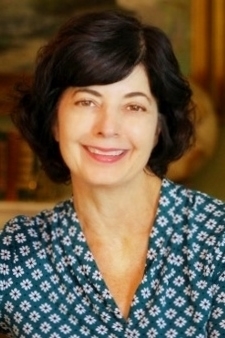 Having spent her entire career practicing and studying many modalities of mind-body healing, either through the manual application of massage therapy or through her lifelong passion of dance and movement therapy, nothing has drawn Mary deeper into understanding and treating pain, movement, and stress issues more than Bowenwork. Since her accreditation in 2005, the most fascinating and exciting aspect about Bowenwork has been the repeated accounts of profound healing that Mary sees daily in her practice. The healing she has witnessed has not only been with musculoskeletal issues, but with all the systems of the body, something that was unattainable with traditional massage therapy. Bowenwork has provided her with an approach to effectively treat a wide variety of health issues quickly and affordably where traditional therapies fail. This is what continues to excite her about this holistic and transforming bodywork. The healing results of the work that continue to ignite her passion to practice Bowenwork also inspired her to become an instructor. Having practiced massage therapy for over twenty five years and Bowenwork for nearly eight, Mary was eager to teach this technique in the hope of achieving her desire to make Bowenwork a household name and the first choice in the line of healthcare, not the last. Believing that passion is the driving force behind any successful teacher, Mary is a natural when it comes to teaching Bowenwork. Her greatest joy in teaching is when her students begin to realize they are learning an amazing skill; a gift that they can use to help, not only their family and friends, but anyone who is suffering and seeking relief. What Mary loves most of all about teaching is to see her passion for Bowenwork take hold and inspire future therapist. Mary loves to learn and that is what she loves most about teaching Bowenwork. Teaching provides her she with the opportunity to continue to study and understand Bowenwork in new and deeper ways. She knows that there will always be more to learn and others who will facilitate that growth. In this this regard, every student provides a reciprocal opportunity for Mary to both learn and pass on her knowledge of the amazing gift of Bowenwork.